ImPas 56 is a company specializing in distribution of high-end quality products for cars, motorbikes and bicycles. They cover a wide range of accessories, always taking into account the present trends. 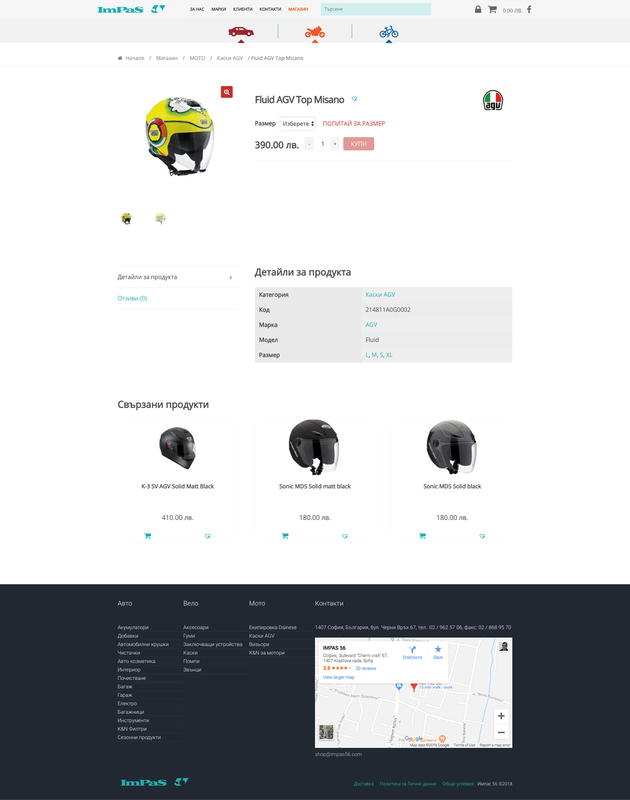 We designed and created an online store for a flawless purchase journey of the end user. 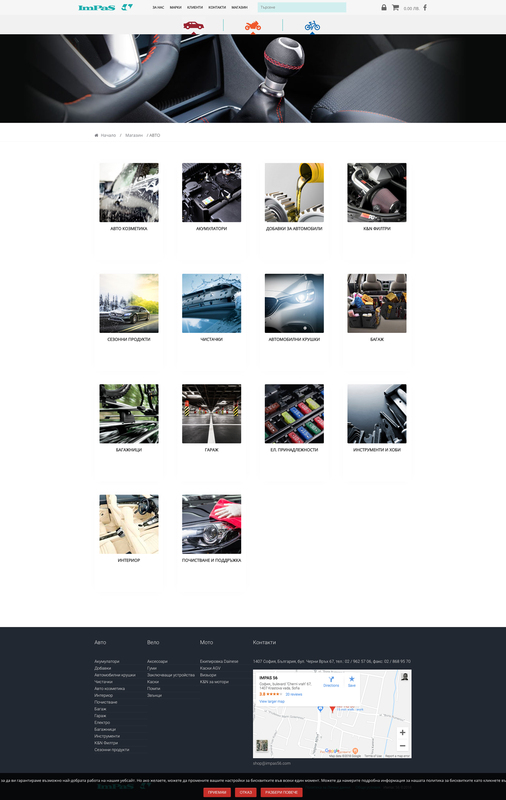 We divided the online store into three main categories – cars, motorbikes and bicycles, each having its own subcategories. That allows an easy and quick navigation, leading the consumer to the final stage of purchase. We integrated a storage software called “Zeron” (https://zeron.bg/) providing an automatic update of the products in the website. The integration between the two systems is based on a two-way communication.